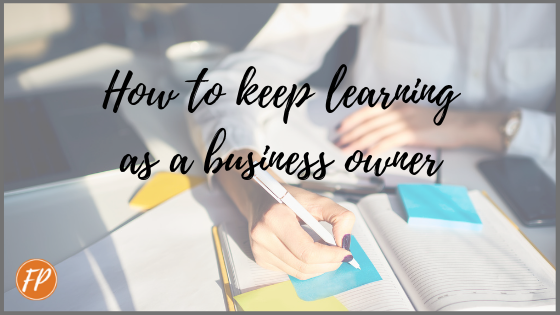 When you’re head down in the daily business routine, the idea of learning can seem unmanageable, expensive and sometimes scary. Perhaps the thought of fitting learning into your already hectic schedule seems impossible, or you feel that you just couldn’t afford to pay for a course. Learning, however, isn’t simply arrived at by attending courses, although that is one option. There are so many other ways to learn that will benefit both you and your business, and best of all, a lot of them are free. Well, that seems a tad obvious. Of course, you don’t know what you don’t know. But what if you ‘could’ know what you don’t know? Wouldn’t that be useful? This assessment could be of you, your business team as a whole, or just a section of your employees, but I’m going to write this from the perspective of a one-person assessment. Get down to the detail of what you can do. You might want to include skills that you don’t use in your day to day work. For instance, I used to write murder mystery plays for a living. That isn’t a skill I use in my copywriting business, but it’s definitely helped to develop both my writing and business experience. When you have a complete picture of what you know, take a minute to pat yourself on the back for having achieved all of this. Next, look at your role. Write up a job description, the kind of thing you would come across if your job was advertised. Try to be as cold and detached as you can. What are the tasks and responsibilities involved? Who do you communicate with in this role? What experience and qualifications are required? When you’ve finished, compare the job description with your list of what you know. Are there any gaps? Don’t be down on yourself if there are. You’ve simply found a way to improve your business skills. Where there are no gaps, take the assessment a step further. Future proof your skillset. You have the skills and knowledge to do your job and serve your current customers. What about the customers you want to work with? I’m not suggesting that you don’t want to work with your current customers. What I’m getting at here is your dream customer. For instance, a florist provides wedding flowers as part of their regular trade but it’s on an individual basis and mainly reliant on local visibility. Their dream client is a nearby country hotel, which as a wedding venue includes flowers in its wedding package. The florist dreams of being the key supplier to the hotel, with regular (seeing as the hotel is fully booked for weddings months in advance) and extensive (the wedding package includes floral displays, bouquets, buttonholes and more) orders. To land their dream customer, the florist might have to develop their floristry skills to meet the ever changing trends in wedding fashion and flowers. What skills do you need to learn to serve your dream customer? Are there any current changes taking place that will have implications for the industry you work in or the job you do? This could be an update in existing technology or the introduction of a new law. One excellent example of a cross-industry development is GDPR (General Data Protection Regulation) which was introduced in 2018, stating how data is handled and processed and safeguarding the related rights of individuals. Do you need to learn a new skill to make sure that your business continues to be both competitive and compliant with the law? 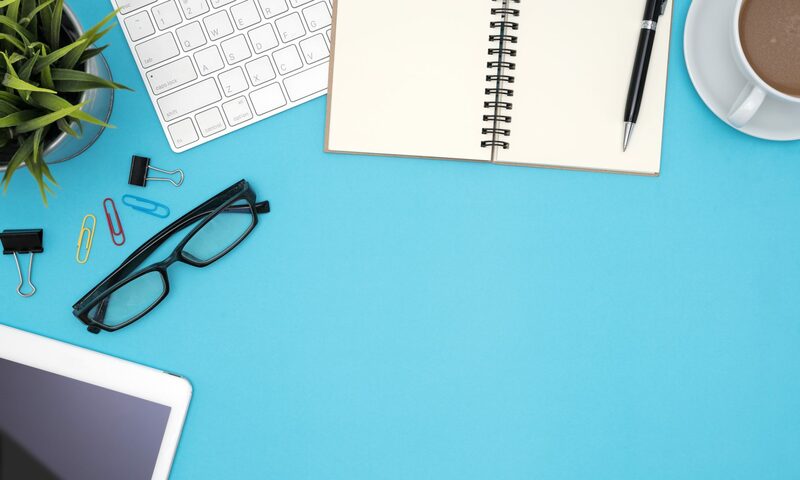 You may well know everything you need to know for your business as it exists in its current form but what if you decide to specialise in some way? 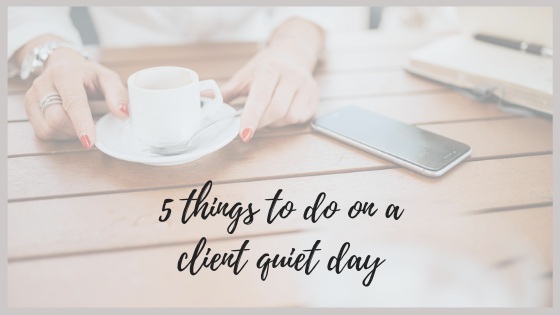 Maybe you want to focus in on the type of clients you serve, or drop certain services so you can concentrate on the ones you’re really good at. For instance, a virtual assistant realises that the clients whom they enjoy working with the most are coaches, and decides to offer their service to that sector only. They investigate exactly what a coach needs from and values in a virtual assistant, assess any gaps in their knowledge, and learn any missing skills. Using any, or all, of the above approaches can flag up a potential area of learning that may help develop your business. You’ve identified your knowledge gaps and know what you need to learn. The next step is to decide how that learning will take place. As I said before, this doesn’t have to cost any, or a lot, of money. It will take time and effort though. Exactly how you bridge your knowledge gap will depend on you, your business, your resources and what you need to learn. There’s no one answer for everyone. I don’t see my competitors as combatants to be defeated. I see them as another source of learning. This is where the value of networking comes into play. That could be physical networking – attending events or, yes, even using the phone – or it could be online networking in the form of LinkedIn or Twitter, for instance. Keep an eye/ear on your competitors. What developments are they seeing in your industry and what changes are they making? Could you learn from their advice and experience? What are they saying about their own customers? Listening to your competition can be a learning experience in itself, or it can point to areas of learning that you need to consider. I know, this isn’t the most exciting of topics but as a business owner you are required to keep up to date with the legal aspects of your business, including tax and other HMRC dealings. Ok, so this will cost a few pennies, but books (physical or e-book) are still an excellent way to brush up your skills or learn new ones. I’m currently reading The Art of the Click by Glenn Fisher and Copywriting Made Simple by Tom Albrighton. This isn’t because I don’t know how to write copy. I do. That’s what you’re reading now. I am, however, keen to learn from those further along the copywriting path. Both Glenn and Tom have much more experience in the word trade than me and I’m happy to be guided by them. Plus, I like to read. And I like real books to put on my overloaded bookshelves. Beyond learning from a book in the initial read-through, it’s also a great reference to return to, and the author is a new face in your industry too. 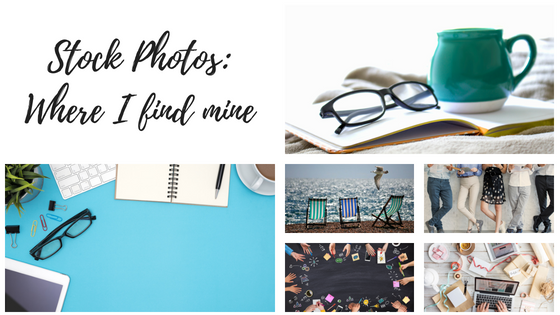 While they may not always be available to network with, they may be someone to follow online and keep track of their blog posts and future books. It’s not just books though. There are all kind of trade magazines out there, depending on your job, magazines like Cow Management Magazine, Earthmovers and Caring Times. Remember the experts I mentioned above? There are sure to be experts for your job and industry too. Seek them out. Read their blogs and articles. What’s happening with your current clients and their industries? This was going to have to be mentioned eventually. Courses don’t have to be bum-on-seat classes though. Many courses can be accessed online. Your exact requirements will be individual to you. For more official learning, the professional bodies such as HSE are always a good place to start when searching for course providers. Equally, those experts I talked about may provide courses too. Although there are free courses available online, the majority of courses will require some level of investment. Why should you keep learning? You know how to run your business and you’re tootling along nicely, thank you very much. Why should you go to all the bother of continuing to learn? Here’s the thing. Business success is a moving target. Or to put it another way, nothing stays the same. Laws change. Markets disappear. Customers come and go. You can protect your business by keeping up to date with your competitors and all the developments that affect your business. The easiest way to do that is to keep learning. Learning increases your value. With each new thing you learn, you grow as a business person. Finally, learning opens your eyes, whether that’s to new opportunities, a new direction for your business, or simply how to do your job better. 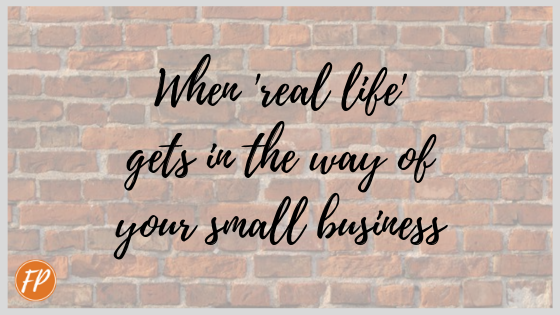 What do you do when your non business life puts up a brick wall that stops your business in its tracks? That’s the problem I was faced with a couple of weeks ago. I had the beginning of 2019 all planned out, returning to work on 7th January, ready for a full, uninterrupted first week, knowing that the following week would be difficult but manageable as work was carried out on our house. First, we had a call from the company carrying out the work to ask if they could bring the job forward a few days. Eager to improve our home and having been told that the renovations wouldn’t get in the way of my work, we said yes. Next, we received a visit from the man in charge of the team and it quickly became clear that the full implications of renovating our home hadn’t been explained to us. Every room in the house was going to be affected and mostly all at the same time. There was no chance to unplug and move to a different spot, short of relocating to a cafe or McDonalds. When it was all finished, and the house was liveable again, I settled back down at my desk with a coffee and the dog at my feet. Now, I could get on with some work. So, what do you do when this kind of thing happens, when ‘real life’ says, “Oi! You! Don’t think you can ignore me. I’m putting my size 12 loafer down. Pay attention to meeeeeee”. Swearing is one option but that only offers relief for a while, so what else can you do? Firstly, how long will the interruption last? Are you forced to down tools for just an afternoon, a week or longer? Is the interruption ongoing, occasional or just a one-off? Who will it affect? What client work will this get in the way of? Can you reschedule any appointments or meetings? Can you delegate or outsource any of your workload? Is it possible to work around the interruption, even partially? Will re-locating to work somewhere else help? Yes, there’s always the cafe scenario but what about a co-working space? Do you have a fellow business owner who could lend you desk space at their office or home for a while? Is there anything that cannot, under any circumstances, be cancelled or moved? Once I knew that I wouldn’t be able to work during the renovation, I got in touch with my clients to let them know. You might also need to tell your suppliers, your staff members, freelancers and contractors that you work with, and anyone else who’ll be affected. Make sure you have ready prepared answers, like how long you’ll be unavailable, reassessed deadlines and what communication there’ll be during the interruption. With all the best will and forward planning in the world, real life still manages to trip us up on occasion. However, if you can put together a process, even a vague process, on how to cope in the case of illness, no electricity supply, or any other business interruption, then you’re halfway towards handling the situation. December begins at the weekend – the month for opening advent calendars, unconsciously humming Christmas songs (I keep finding myself falling into ‘Let it snow’ – no really, don’t let it snow), and filling up on mince pies. This year, one of my friends set up her Christmas tree and festooned her house in festive sparkle as soon as Halloween had ended and another super-efficiently finished her present shopping in September. Everyone seems to have donned their blinkers intent on the finishing line that is Christmas Day. I’m still in denial (apart from the mince pies). But what about your business? Have you thought about Christmas preparations for that? How will your business handle the festive break? 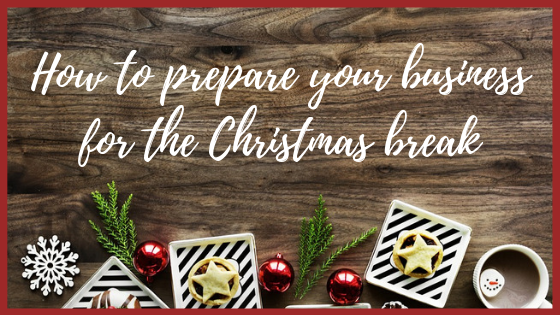 Whether you’re a sole freelancer like me or run a medium sized business with staff, there are a number of common preparations that can help us all in the run up to Christmas. When are you closed over the festive break? Personally, I’ll be closing up shop at the end of Friday, 21st December and not opening again until Monday, 7th January. Every business is different and you’ll have many things to factor in when deciding on your closing times such as the industry you work in, your clients, your working practices and even your staff. Will you split the festive break with open days between Christmas and new year’s day? How are you going to make it clear when you’re shut? Is it sufficient for you to announce your closing times on your website or social media? Do you need to contact your customers and mailing list to tell them when you won’t be working and responding? Don’t forget your staff and suppliers. How about new customers contacting you over the festive break? How will they know you’re closed? You may even wish to set up an ‘out of the office’ autoresponder on your emails. Making it clear when your business is closed removes any chance of a disgruntled customer or a missed order. If you want to continue to publish blog articles on your website and posts to your social media accounts over the festive break, take advantage of scheduling. Whether you use WordPress like I do, Squarespace, Wix or another provider for your website, there will be a way to schedule your blog posts for a future date. So for instance, if you want to blog ‘Merry Christmas’ on 25th December, you can set that post up in advance to appear on the big day. I also use IFTTT to connect my social media accounts (e.g. Facebook to Twitter). You can schedule posts on Instagram, Facebook and Twitter themselves too. Of course, if you need help scheduling posts to your social media accounts, I’m always happy to take that workload off your hands. Just get in touch. What jobs and projects need to be finished before the Christmas break? What can be left until the new year? Do you need to make any preparations for work left until the new year? A good way to approach this task is to divide your workload into work for customers, non customer work related to your business, and anything else. What deadlines have you and your customer set? Do these need to be revisited? What work do you need to complete on and for your business itself? Who else is involved in this work? If you are leaving work until the new year, do you need to notify any involved parties about this? Re-assessing your workload now gives you the chance to write up a plan for when you return to your ‘desk’ in the new year. Yes, I know, in the run up to Christmas you want it to be all mirth, and gin (hang on, maybe that’s just me), and joy to all, but you still have to pay the bills. If you have any unpaid invoices that are past their payment terms (14 days, 1 month, etc), then chase them. Once your customer is closed/on holiday for Christmas, you won’t be able to contact them about the money they owe. You’ll simply have to wait until the new year. Contact them now, in a polite but firm manner, so you won’t spend the festive break worrying about your cashflow. Remember that sparkling plan you put together at the beginning of the year with all those tasks? How many of those tasks have you actually completed? Were they completely unrealistic from the outset? Have they, for some unforeseen reason, become impossible or difficult to complete? Has the task been delayed or remained incomplete due to the involvement of another person? Is the task a nitty-gritty job that you just don’t want to do? The first three reasons for not ticking tasks off your to-do list are incredibly useful and will inform your plan for the new year. However, if the final reason is true, decide whether the task is necessary and if it is, then do it. It might be your tax return, backing up your computer, filing, or networking. Whatever it is, especially if you’re a sole self employed worker, get on with it. The Christmas break will feel so much better knowing that you have a clean slate for the new year. I don’t just mean the computer and the office lights. 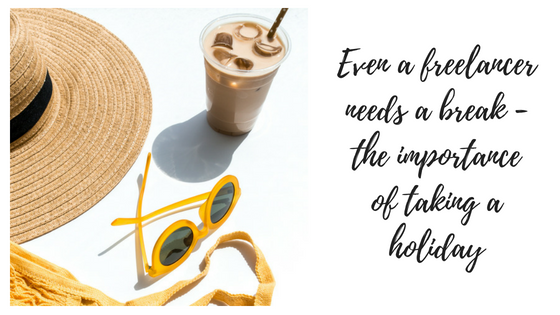 When you finally finish for Christmas, however many or few days you take off work, toss away your business hat and ‘be’ on holiday. You’ve worked hard this year. You deserve a break. As much as you’ve committed to your work for the last twelve months, commit now to replenishing your batteries at home or wherever you spend the festive break. If you can do that, you’ll return to your work rested, refreshed and still smiling from all that festive goodwill. Today marks the end of the second week of my teens being back at high school. Although I loved having them around over the summer holidays, their noisy *cough* enthusiastic presence over the break did rather throw my work routine out of kilter (in fact, out of the kilter and into next week). By the time September rolled around, I was more than happy to wave them off to school. 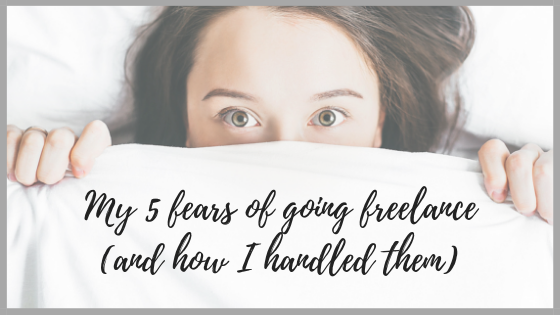 The first day they were back, I sat down at my desk with my computer and my coffee, all ready to take advantage of the peace and quiet and lack of teenage demands, and came over all deflated. I felt lost. I’ve worked over the summer, with the exception of a two week break, but it’s been a battle to maintain any level of focus. Add to that the fact that many of my business contacts have children to tend and/or holidays to take, and my usually well-edged business path appeared suddenly overgrown and a tad vague. What’s working and what needs to be improved? Is there anything that should be cut out altogether? my income – was it sufficient or did I need to earn more? I knew that one of my businesses wasn’t working anymore, or more accurately, the time I was spending on it wasn’t reflected in earnings. It’s a business that has been with me for over 20 years but I’m not the same person (with the same interests) that I was back then. In the end, I decided that I would close that business in the new year so I could concentrate more of my time and effort on this business instead. Working over the summer holidays meant moving my hours around to fit in trips out with the teens. With them back at school, I can return to my usual working hours. But do those ‘usual’ hours still work for me? What about boundaries with clients? And boundaries with friends and family too? Checking your boundaries at least a couple of times a year is always worthwhile. 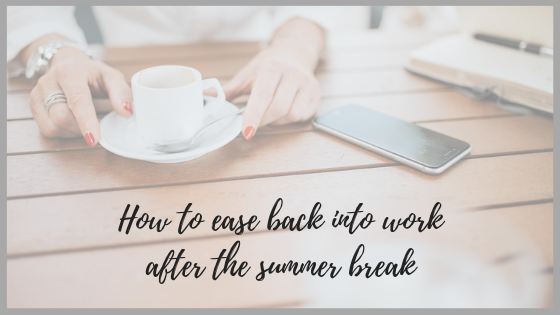 Thankfully, I’d kept up to date with my emails but when I faced the backlog after my two weeks’ holiday, I didn’t know whether to be impressed that I was so popular or run screaming from the magnitude of emails waiting for my attention. I deleted any shopping related emails. I know that sounds harsh but I spent far too much money over the holidays. I don’t want the temptation of 30% off at Monsoon or a reduced membership to a specialist gin club at a time when I badly need to refurnish my bank account. I then looked for emails from friends and family and saved them to a folder for later, out of work, reading. I did the same for emails from businesses that can help me keep up to date with my skills and knowledge, so for instance, blog posts about developments in social media management. Any emails left after that culling, were work-related and I worked through them one at a time. 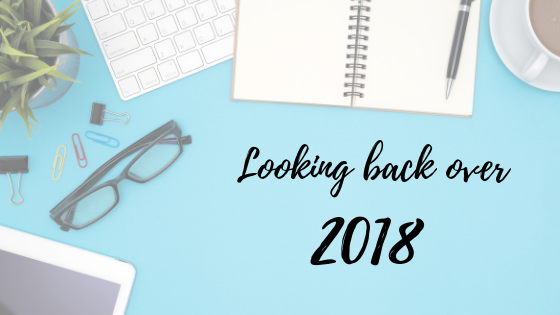 Having re-assessed my business, examined my boundaries and sorted through my emails, I was fully equipped to create my To-Do list for the following week, the rest of the month, and to the end of the year, with one proviso – things change. Any To-Do list should have an element of flexibility about it. As a home-working freelancer, it’s easy to become isolated from the world out there. You can’t assume that people will read your social media and blog posts, and hence know what’s going on with you. Sometimes, you have to reach out. So I dropped an email to my clients to say “Hi, I’m back”. I replied to any outstanding work emails that required a response (and even those that didn’t, again, just to say ‘hi’). I checked my social media accounts to see if anyone had sent me a message, and to find out just what was going on in the world. During the summer break, my bedtimes were all over the place, as were my energy levels. Knowing that I have to be up at the same early time every weekday during school term time means that if these middle-aged bones are going to survive, I have to get (at least) seven hours sleep every night. If your brain is still on holiday hours (as mine was for the first few days), keep a notepad by your bed to scribble down all those thoughts, ideas and worries that keep you awake. There’s a temptation to have this ‘burst’ of energy and productivity on your first day back. Part of that, for me anyway, is the enthusiasm of getting back to work and not having to fend off teenage demands for a few hours at least. The downside to setting this expectation of let me at ’em is that (a) we burn out and/or (b) we don’t accomplish our targets and then feel incredibly guilty and down. Don’t beat yourself up like that. On your first day back, maybe your first few days, be kind to yourself and take it easy. I’m not saying that you should do nothing. What I am saying is that it might be a good idea to allow yourself that time to acclimatise to your September work routine without unrealistic expectations. So what about you? Has September spelled a blissful return to work or are you yearning for the summer holidays? Which ever it is, have a wonderful September. At Christmas, my husband bought me a bottle of Kraken dark spiced rum. Since then, it has sat on my shelf unopened, not because I don’t like spiced rum (I really do) but because the bottle itself is just a joy to behold. Look. If the name wasn’t enough to net a writer like me (cue Laurence Olivier – more recently Liam Neeson – as Zeus demanding that the Kraken be released on the innocent Andromeda), then the design of the bottle is sure to seal my fate. 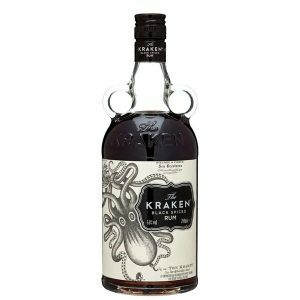 There’s the handles, and the balance of the dark rum against the light background of the label, and best of all, there’s the image of the Kraken itself. But even better than this, the company behind Kraken haven’t simply produced a beautifully packaged product. They took that hint of a story (whether your Kraken is the beast from Clash of the Titans or the monster that battled Captain Nemo) and built a website that continues to delight, as well as obviously sell delicious rum. They tell ‘The Horrid Tale’ of the rum’s naming after a possible encounter with the Kraken. There’s a dramatic and delightfully tongue-in-cheek video offering proof of the existence of the Kraken. There are cocktail suggestions. I may well try my hand at The Perfect Storm (rum and ginger beer). You can join their League of Darkness by taking a quiz. In essence, this is their mailing list but who wouldn’t want Kraken emails? Then, there are the wallpaper downloads such as the one featured at the top of this post. The Kraken game – a downloadable simulation app for nautical manoeuvring. Oh, and there’s a shop where you can buy more rum, plus all kind of Kraken adorned items such as an umbrella, iPhone case, various t-shirt designs, Kraken bookends and even household wallpaper (I’m still working out which room in my house needs decorating next). Keeps people coming back to the website by entertaining and providing them with so much more than just rum. Involves the audience in the ‘story’ of the Kraken, making them feel that they are part of something. 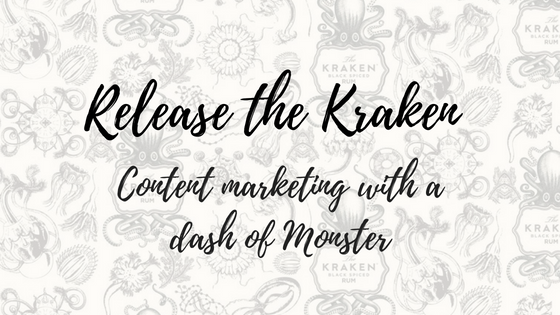 Encourages interaction with their audience who in turn recommend Kraken and advertise it by using the wallpapers, buying the products, and peopling the Kraken social media accounts. Plus, some of them like me might blog about it. This is branding and content marketing with imagination, flair and fun. 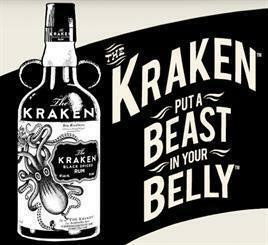 You don’t have to like rum to appreciate how well Kraken have marketed their product and even if you don’t sell rum, or monsters, there’s sure to be a lesson here for any business. I’ll leave you with one of their videos. Enjoy. I’m heading out to buy some ginger beer.